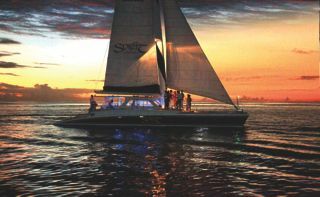 The luxury sunset cruise with sushi and champagne is restricted to a maximum of 20 people and leaves space to relax and enjoy sailing, dining and ambiance in total comfort with like minded people who appreciate its casual elegance and refinement. 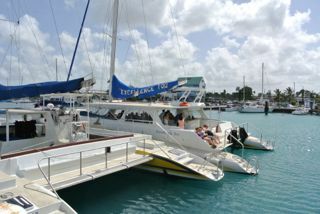 Tiami Catamaran Cruises is the largest and oldest established company of its kind in the Eastern Caribbean. 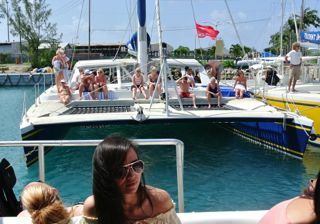 Our Barbados fleet consists of 5 Catamarans varying in capacity from 20 to 85 passengers. 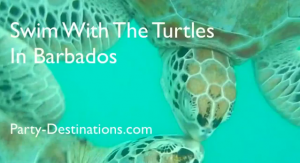 They are custom built to our own specifications put together over years of experience in what our customers want, and to meet the rigorous standards of the most demanding international tour operators. All boats pass regular inspection by our international partners and are maintained to the highest standard. Shade is a number one concern for many passengers and our design allows for the greatest shade area without compromising the deck and sunbathing. required to pass stringent inspection for safety and maintenance on a regular basis. 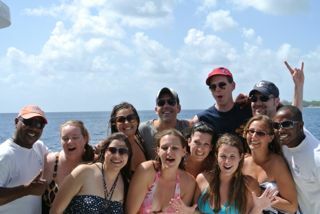 Your crew are friendly and attentive, you will find them happy and fun. They are also highly trained professionals. All on board crew must be regionally certified in dealing with trauma and first aid. 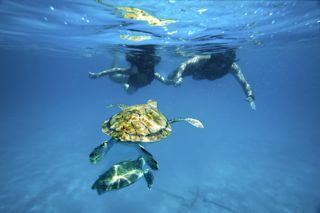 They are also trained and certified in CPR and ocean rescue.